Posted on January 4, 2019 at 9:56 am. There are few things in life that are worse than dealing with water damage in your home. Most people have never experienced such instances. They are the lucky ones. However, those that have experienced a leaky roof or a burst pipe understand the cost of repairs, what caused the flood, how to replace the damaged walls, floors, and insulation, along with ensuring that it never occurs again. This article is focused on informing you about everything that there is to know about water damage inside the house. We will uncover the common issues, causes, precautionary tips and the costs of repairs that are associated with water damage in home. If you are dealing with water damage in your home, you must get in touch with professional plumbing service in Cleveland, TN, like Metro Plumbing, Heating and Air. The most important thing you must do to ensure that you don’t suffer from water damage in your home is to get in touch with professional plumbers in Cleveland as quickly as you can. It is imperative that you get water damage dealt with efficiently and properly. 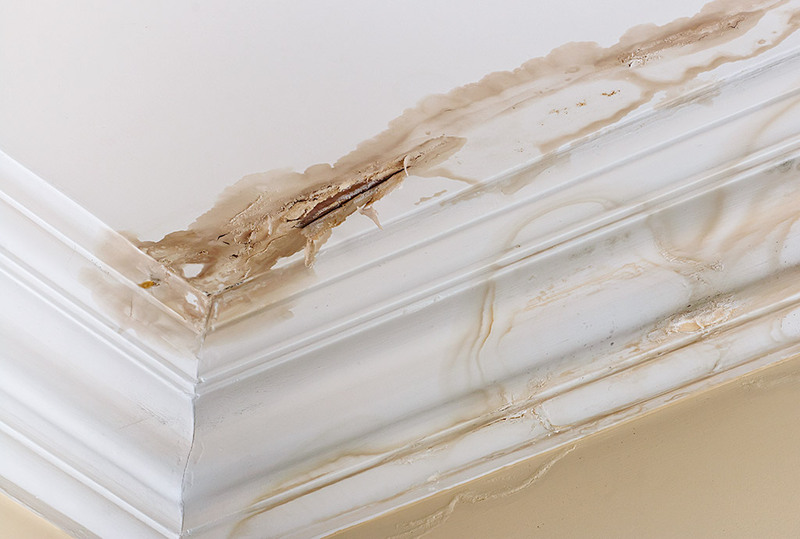 If you wait for a while when dealing with water damage, the overall damage will get worse. This isn’t like dealing with fires which can be put out once and the worse is over. With water damage, you must first get water out of the house. Otherwise, water will keep coming into the home and will ruin your walls and floors. There is a massive difference between the two, and the repairs can be complicated when dealing with water damage. This is why it is a good idea to act fast and get in touch with professional plumbers in Cleveland. They can quickly remove the standing water by using high-powered fans, water suction tools, and different pumps. They may need to cut into the insulation and the walls to find out the extent of the damage. You may also require the expertise of specialists and electricians to repair electrical lines and cut wires throughout your home. Another reason why you must act fast is because when you acquire the expertise of professional plumbers in Cleveland, you will stop mold growth, and not have to deal with health problems associated with water damage in homes. The one thing you will realize with water damage is that the repairs aren’t going to be cheap. Besides the overall damage, there are various health problems at play. Apart from that the entire process of removing the water and repairing the damage, there are other separate expenses in play. As per the disaster recovery estimator, we have concluded that it may cost over $2,000 to get rid of standing water in the home, and a further $1,900 to repair the water damage in the home. The price can obviously change depending on the size of the home, the extent of the damage, and the amount of water that has infiltered the foundation. The longer that water remains in the home, the more expensive and extensive the repairs are going to be as well. If you have suffered any of the above-mentioned causes of water damage, you must get in touch with professional plumbers in Cleveland immediately. The entire water removal process depends on what caused the water damage. If the flooding was caused by a storm, you may need to wait until the water recedes around the house. If the flooding was caused by a pipe, you may require the expertise of professional electricians or plumbers in Cleveland to work on it straight away. It is imperative that you don’t try to fix the problem yourself but instead rely on the expertise of a professional plumbing services like Metro Plumbing Heating and Air to remove standing water. There are a lot of hidden hazards, like dealing with live electricity, rats, and other dangers. This is besides the danger of mold causing further damage to your home. When you acquire the expertise of plumbers in Cleveland, the first step they are going to take is removing all the water from the home. They will do this through a pump or another water removal tool to remove the water from inside a wall or from a flooded basement. Once they manage to remove the water, they will use special dryers to dry the wet areas quickly to prevent mold growth. Once they have dried out an area completely, the professional plumbing service in Cleveland, will check all the walls to find out how far the damage has affected the home. There are times where you must replace the insulation and drywall as well. They will also check the foundations of the home to ensure that water hasn’t damaged the structural integrity of the house. Floods may be one of the worst things to deal with but if you act fast and acquire the specialist services of professional plumbers in Cleveland like Metro Plumbing, Heating and Air, you will easily manage to deal with such problems. They have different tools that they use to handle water damage in any home, ensuring that the house goes back to its original condition. The most important thing you must remember is that the longer you wait to deal with water damage, the worse the damage is going to be. Therefore, get in touch with a professional plumbing service like Metro Plumbing, Heating and Air by calling them at (423) 616-1025 now.